Since becoming an agent in 1993, Andrea has been a leader in the highly competitive SF Bay Area residential real estate market, and is currently ranked in the top 1% of all local agents. 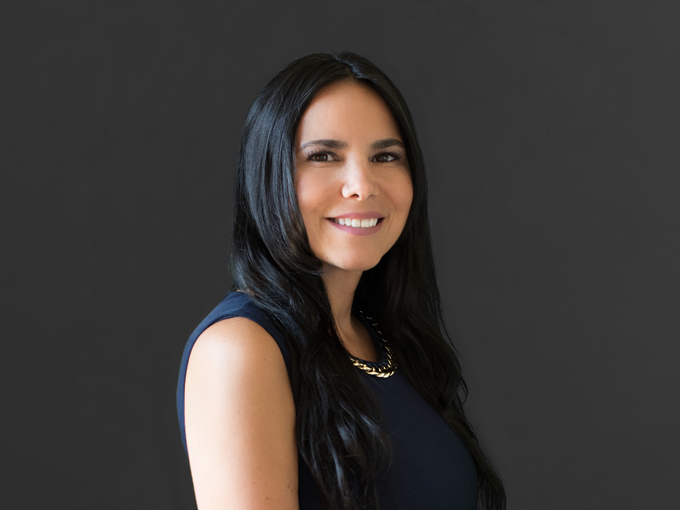 As a Certified Residential Specialist, Andrea is known for her comprehensive market insights, relentless pursuit of opportunities, and personalized service. Andrea is extremely proud that over 85% of her sales come from repeat business and referrals, a testament to her relationship with each and every client. As a San Francisco native, Andrea brings a unique perspective to neighborhood trends and market conditions. Combined with her strong reputation and lasting relationshipswith other agents, Andrea is able to offer clients a distinct advantage when it comes to finding their dream home. Always committed to honing her skills to better serve her clients, she completed a Mastery of Negotiations Program at USF. Seeking to expand her capacities, in 2016 in collaboration with her husband and business partner, Andrea founded the WelcomeHomeSF Team bringing together a support network ofspecialists to guarantee her clients continue to receive her top quality of service. In 2017, Andrea was peer elected to a three-year term (2018-2021) as a Director on the Board of The San Francisco Association of Realtors. She is an extremely active member of The Junior League of San Francisco, coordinating very successful charity fundraisers. Andrea is also a proud member, former Treasurer and President Elect of The San Francisco Chapter of The Woman's Council of Realtors. In addition, she served as a panelist on KGO 810's Real Estate Clinic for almost two years and appeared in the Season Premiere of the HGTV Program House Hunters’“Coast to Coast” episode on January 1, 2003. Andrea is a true champion for her clients and community, perpetually striving to integrate cutting-edge information and make real estate more affordable for everyone who calls the Bay Area home. 5 Bed | 4 Bath | 2,084 Sq.ft. 1 Bed | 1 Bath | 504 Sq.ft. 4 Bed | 3 Bath | 3,767 Sq.ft. 2 Bed | 1 Bath | 1,580 Sq.ft. 2 Bed | 2 Bath | 931 Sq.ft. 3 Bed | 2 Bath | 1,051 Sq.ft. 3 Bed | 3 Bath | 1,306 Sq.ft. 2 Bed | 1 Bath | 1,276 Sq.ft. 1 Bed | 1 Bath | 1,190 Sq.ft. 4 Bed | 2 Bath | 1,306 Sq.ft. 2 Bed | 2.5 Bath | 1,240 Sq.ft. 4 Bed | 2 Bath | 2,069 Sq.ft. 1 Bed | 1 Bath | 945 Sq.ft. 1 Bed | 1 Bath | 860 Sq.ft. 3 Bed | 1 Bath | 1,020 Sq.ft. 5 Bed | 2.5 Bath | 4,544 Sq.ft. 2 Bed | 2 Bath | 1,038 Sq.ft. 3 Bed | 2 Bath | 1,715 Sq.ft. 2 Bed | 2 Bath | 1,162 Sq.ft. 4 Bed | 2 Bath | 1,926 Sq.ft. 4 Bed | 3 Bath | 2,071 Sq.ft. 2 Bed | 2 Bath | 1,099 Sq.ft. 3 Bed | 2 Bath | 1,430 Sq.ft. 1 Bed | 1 Bath | 902 Sq.ft. 2 Bed | 2 Bath | 1,062 Sq.ft. 3 Bed | 2 Bath | 1,796 Sq.ft. 2 Bed | 1 Bath | 824 Sq.ft. 3 Bed | 2 Bath | 1,417 Sq.ft. 2 Bed | 1 Bath | 1,077 Sq.ft. 1 Bed | 1 Bath | 795 Sq.ft. 3 Bed | 1 Bath | 1,361 Sq.ft. 2 Bed | 2 Bath | 1,130 Sq.ft. 1 Bed | 1 Bath | 583 Sq.ft. 3 Bed | 3 Bath | 1,743 Sq.ft. 2 Bed | 2 Bath | 1,094 Sq.ft. 3 Bed | 2 Bath | 1,210 Sq.ft. 3 Bed | 2 Bath | 1,416 Sq.ft. 3 Bed | 1.25 Bath | 2,008 Sq.ft. 3 Bed | 1.25 Bath | 1,730 Sq.ft. 2 Bed | 2 Bath | 1,384 Sq.ft. 2 Bed | 1 Bath | 721 Sq.ft. 3 Bed | 2 Bath | 1,600 Sq.ft. 1 Bed | 1.5 Bath | 852 Sq.ft. 5 Bed | 4 Bath | 2,124 Sq.ft. 1 Bed | 1 Bath | 744 Sq.ft. 1 Bed | 1 Bath | 861 Sq.ft. 4 Bed | 2.5 Bath | 2,290 Sq.ft. 3 Bed | 2.5 Bath | 1,662 Sq.ft. 5 Bed | 5 Bath | 3,274 Sq.ft. 2 Bed | 2 Bath | 1,240 Sq.ft. 3 Bed | 2 Bath | 1,338 Sq.ft. 2 Bed | 1.5 Bath | 820 Sq.ft. 2 Bed | 1 Bath | 774 Sq.ft. 1 Bed | 1 Bath | - Sq.ft. 5 Bed | 2.5 Bath | 2,790 Sq.ft. 1 Bed | 1 Bath | 685 Sq.ft. 3 Bed | 2 Bath | 1,092 Sq.ft. 2 Bed | 1 Bath | 872 Sq.ft. 2 Bed | 2 Bath | 1,037 Sq.ft. 2 Bed | 1 Bath | 915 Sq.ft. 2 Bed | 1 Bath | 1,038 Sq.ft. 4 Bed | 3 Bath | 3,480 Sq.ft. 2 Bed | 2 Bath | 1,440 Sq.ft. 2 Bed | 1 Bath | 935 Sq.ft. 1 Bed | 1 Bath | 854 Sq.ft. 3 Bed | 2 Bath | - Sq.ft. 3 Bed | 2 Bath | 1,872 Sq.ft. 3 Bed | 2 Bath | 2,421 Sq.ft. 2 Bed | 2 Bath | 973 Sq.ft. 3 Bed | 2.75 Bath | 1,812 Sq.ft. 1 Bed | 1 Bath | 922 Sq.ft. 3 Bed | 2 Bath | 2,050 Sq.ft. 3 Bed | 2 Bath | 1,402 Sq.ft. 5 Bed | 4 Bath | 2,606 Sq.ft. 2 Bed | 1 Bath | 820 Sq.ft. 1 Bed | 1 Bath | 758 Sq.ft. 3 Bed | 1 Bath | 1,488 Sq.ft. 2 Bed | 2 Bath | 1,154 Sq.ft. 3 Bed | 3 Bath | 1,989 Sq.ft. 2 Bed | 2 Bath | 1,119 Sq.ft. 2 Bed | 1.5 Bath | 1,585 Sq.ft. 2 Bed | 1 Bath | 850 Sq.ft. 1 Bed | 1 Bath | 752 Sq.ft. 1 Bed | 1 Bath | 687 Sq.ft. 4 Bed | 3 Bath | 2,371 Sq.ft. 2 Bed | 1 Bath | 1,068 Sq.ft. 4 Bed | 3.5 Bath | 3,043 Sq.ft. 5 Bed | 4.5 Bath | 2,849 Sq.ft. 2 Bed | 2 Bath | 778 Sq.ft. 1 Bed | 1 Bath | 755 Sq.ft. 1 Bed | 1 Bath | 691 Sq.ft. 3 Bed | 1.5 Bath | 1,499 Sq.ft. 2 Bed | 2 Bath | 1,136 Sq.ft.